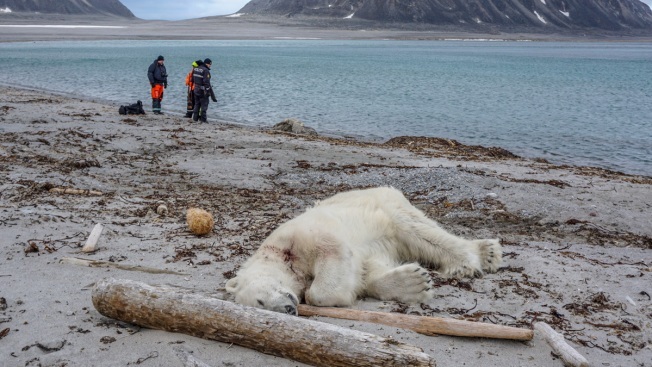 Authorities search the coastline, Saturday, July 28, 2018, after a polar bear attacked and injured a polar bear guard who was leading tourists off a cruise ship on the Svalbard archipelago between mainland Norway and the North Pole. The polar bear was shot dead by another employee, the cruise company said. A polar bear cub at a zoo in Berlin opened her eyes for the first time. The three-week-old girl has not been named.